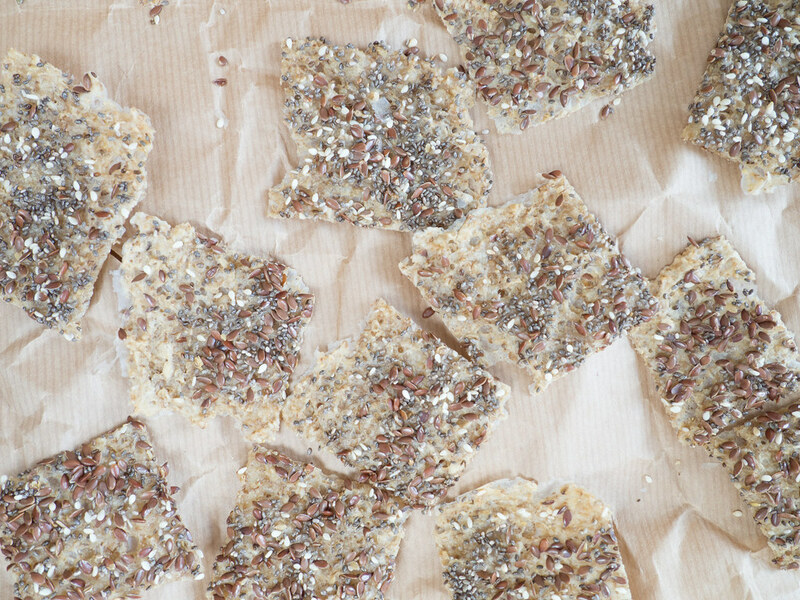 This recipe for oat meal crackers is just fantastic easy to make and they are very delicious. I normally eat a couple of these crispy crackers in the late afternoon when I feel hungry but it is a bit too early for dinner. If you are a regularly reader of my blog, you would know that I do quite a lot of traveling both private but also with my job. When I am traveling, I always find it difficult to find some good and filling food, which is not fried food and greasy cheeseburgers. I always bring a small box with some healthy snacks when I travle. 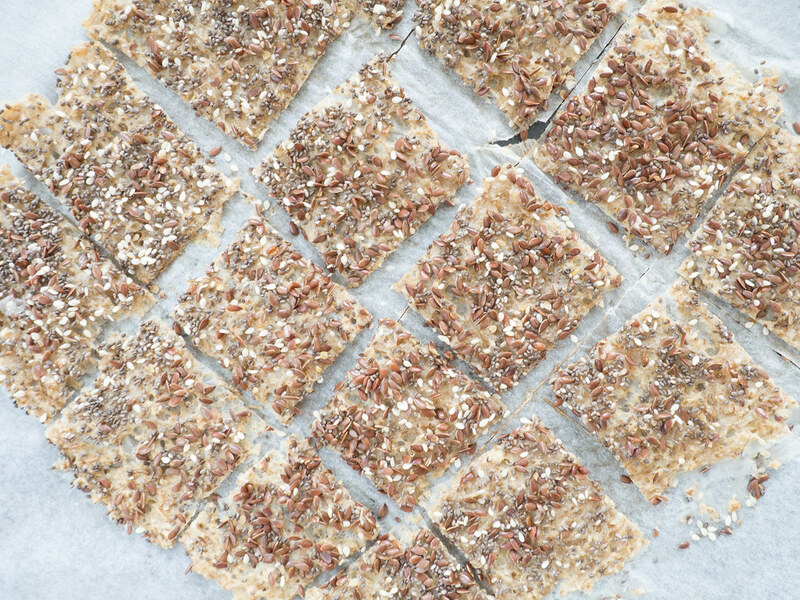 These oatmeal crackers are typically a part of this snack box together with sticks of carrots and cucumbers. 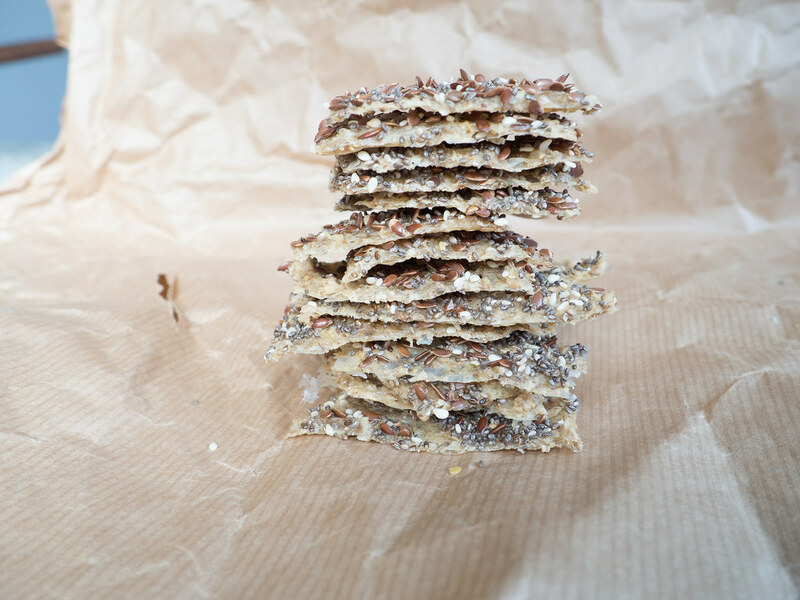 If you are looking for other recipes in this category I can highly recommend my banana and oat cookies which is also super easy to make, very tasteful and filling. 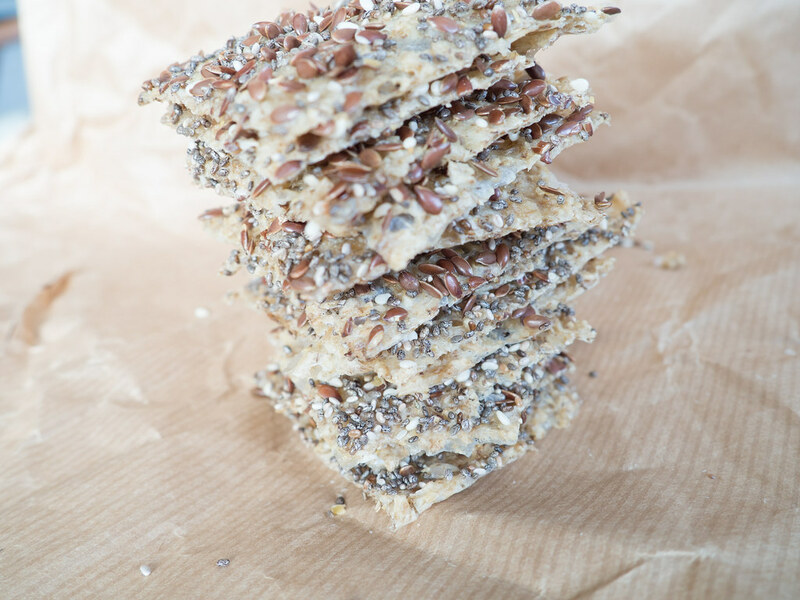 If you have a good recipe for simple and easy-to-make snacks that are great for long travels, I would love to hear from you in the comment section below. 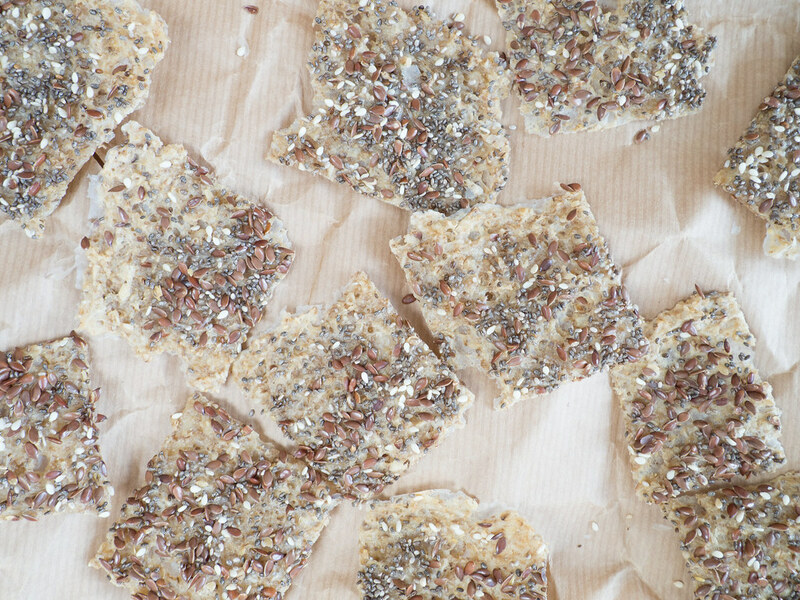 As said above, these oatmeal crackers are very easy to make. 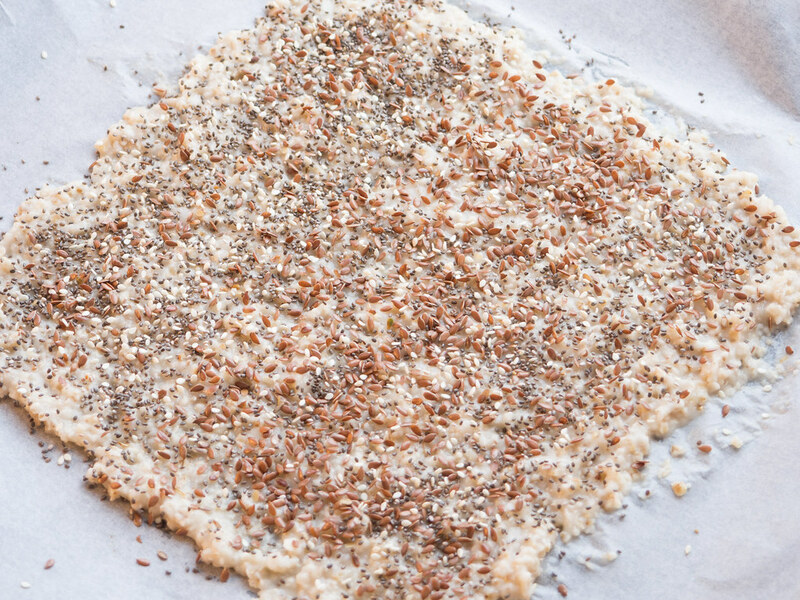 You need a portion of oatmeal, some seeds and spices and a parchment paper covered oven plate. 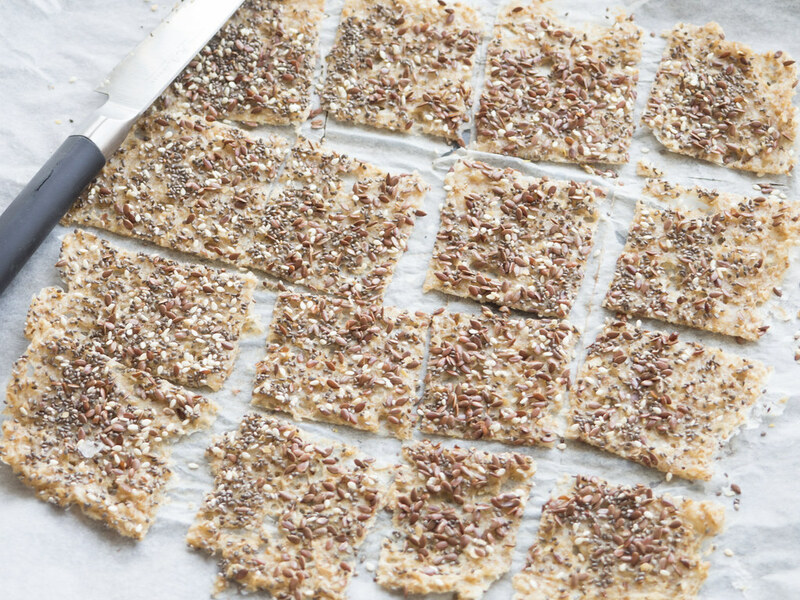 I always have oatmeal for breakfast, so when I want to make these crackers I always just double up the recipe – eat half of it and turn the rest into crispy crackers. 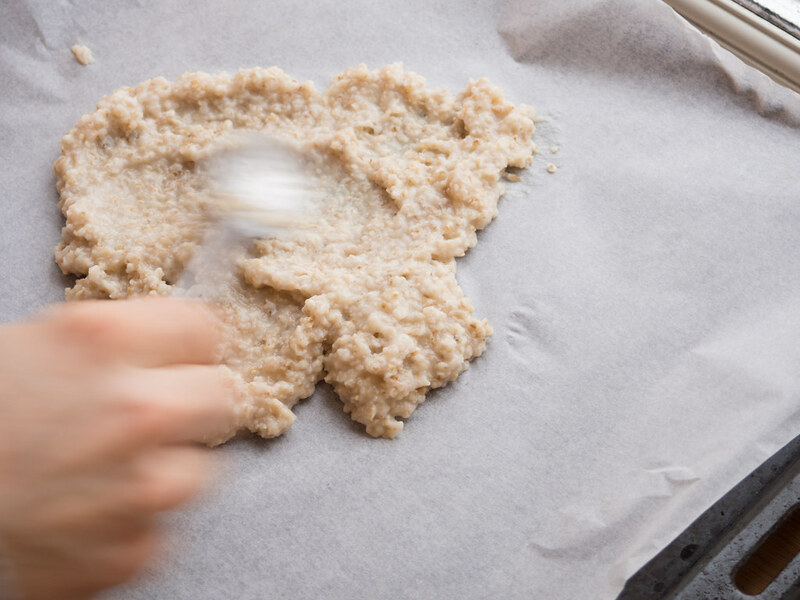 You simply just spread out the oatmeal on the parchment paper. The thickness is up to you and only depends on how thick you prefer them. I personally perfer them very thin. 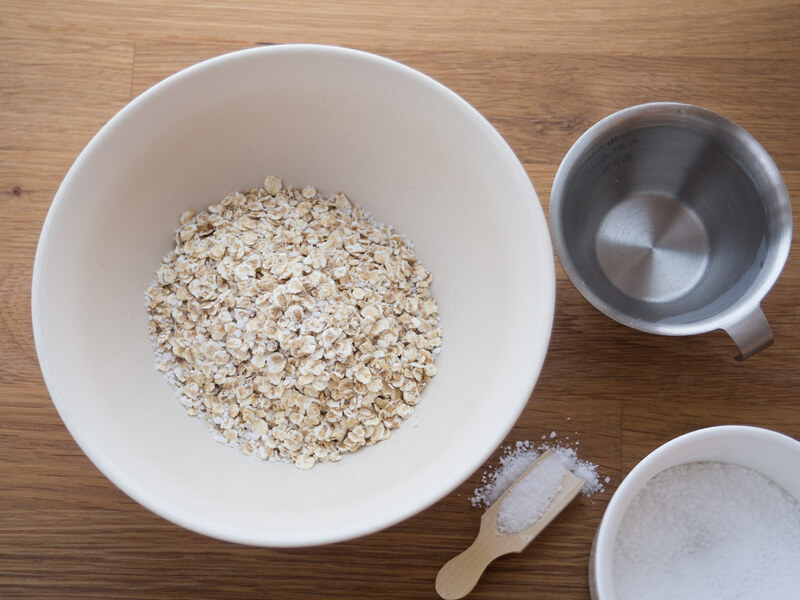 After you have spread out the oatmeal, you can sprinkle it with some seeds or spices. I normally just use flax, Chia or sesam seeds. I can also recommend thyme, oregano or rosemary. Again, this is totally up to your preferences and what you like the most. 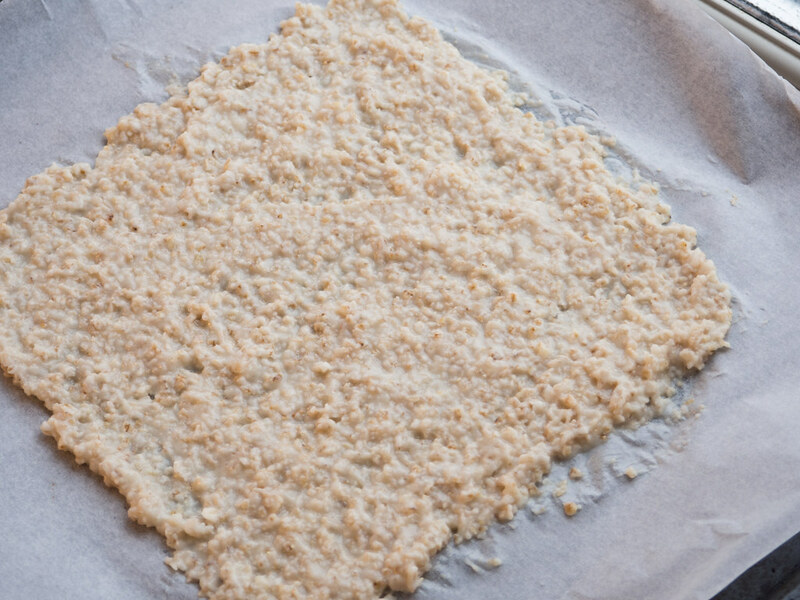 Then you just bake everything at 150 C for about 45 minutes or until the oatmeal is turned into a large crispy sheet. 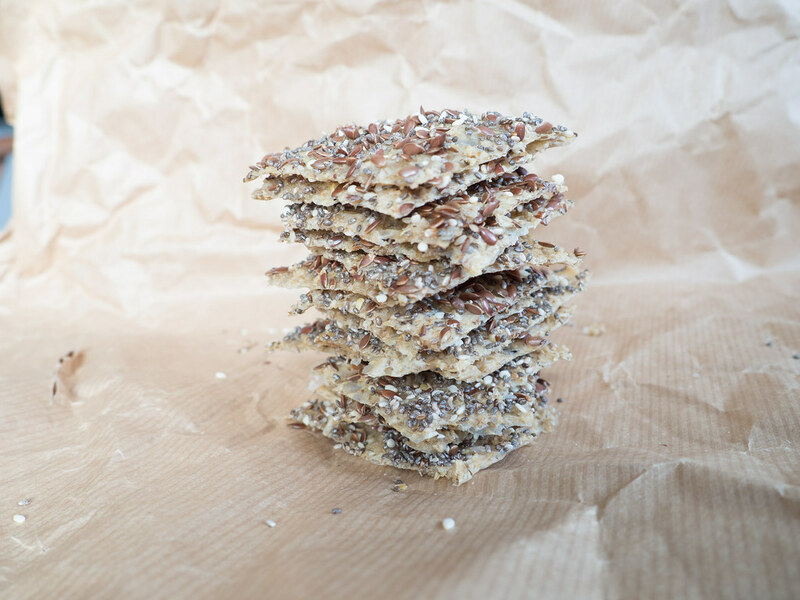 Finally, break the sheet into smaller crackers and keep them in an air tight container to keep the crispness. 1. In a microwave safe bowl; Mix all the ingredients. 2. Microwave everything for about 2 1/2 minutes on the high setting. 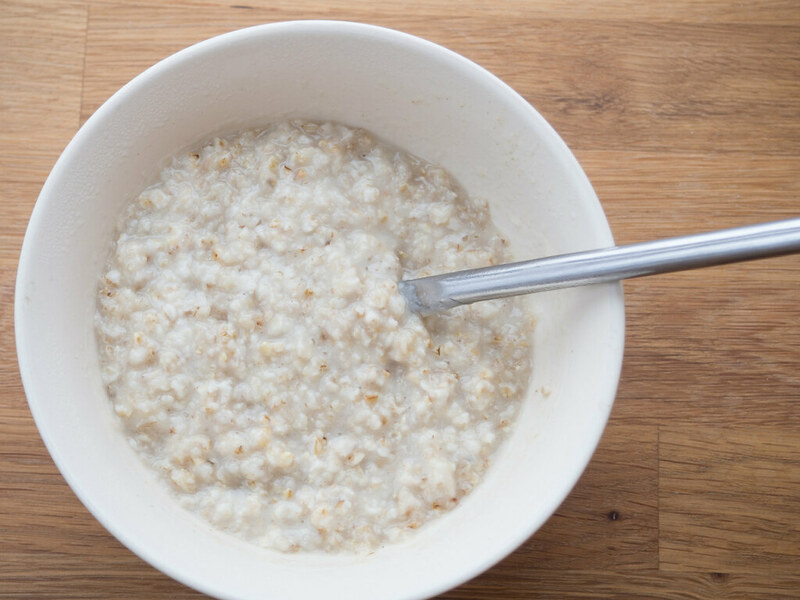 After the first minute stir in the oats and continue microwave the last 1 1/2 minute. 3. 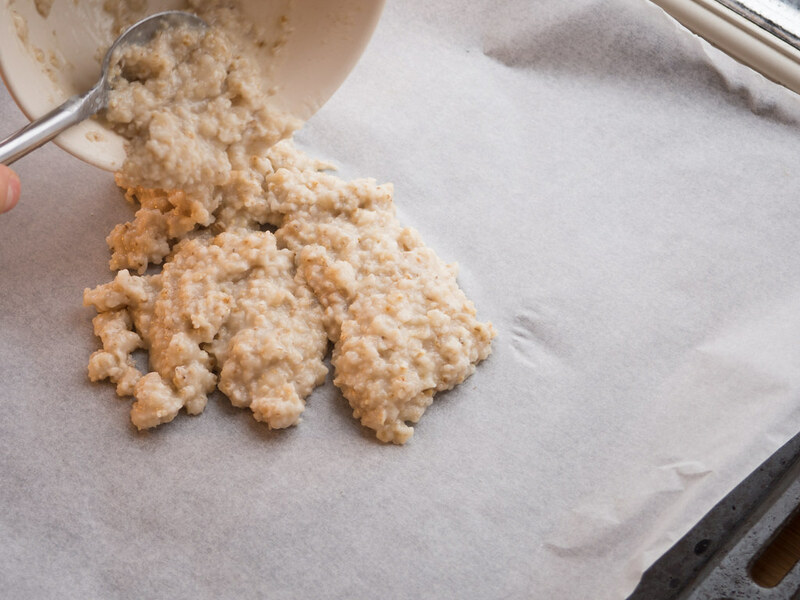 Cover an oven tray with parchment paper and spread out the oatmeal using a tablespoon. The layer should be very thin. 4. 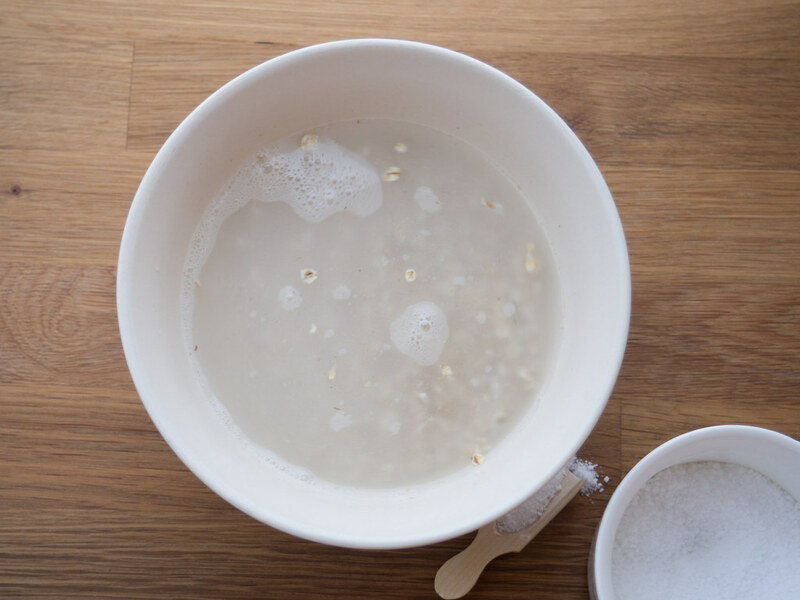 Sprinkle the oatmeal with different seeds, chopped nuts and spices – use your imagination and your own preferences. 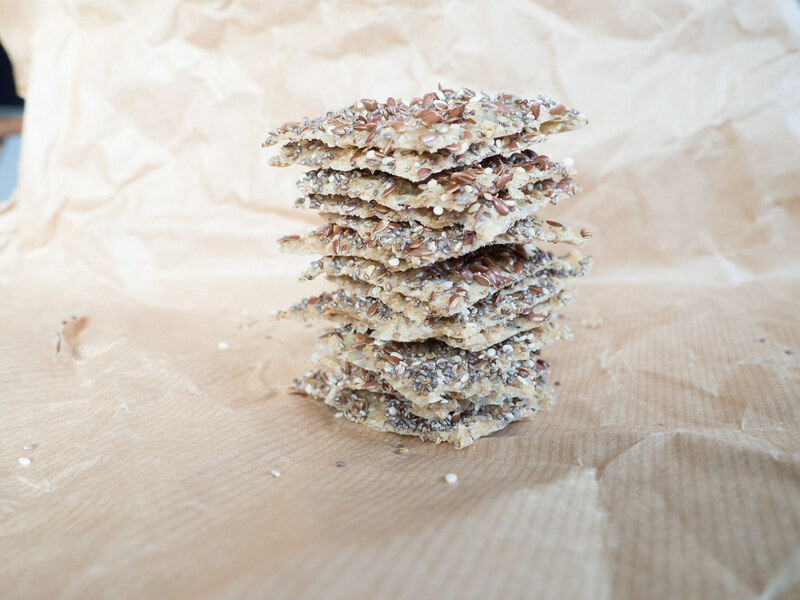 I can recommend sesam-, chia- and flax seeds. 5. 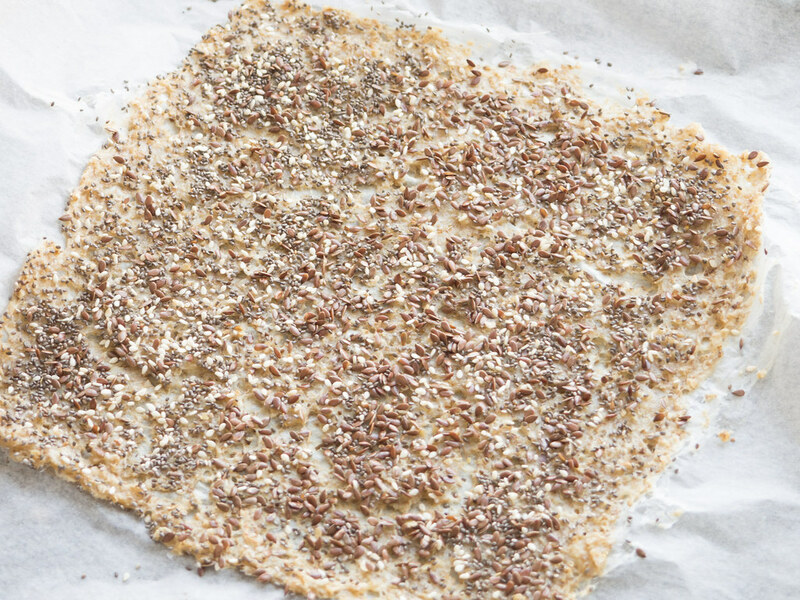 Heat up the oven to 150 C (300 F) and bake the oatmeal crackers for about 40-50 minutes or until the oatmeal is turned into a large crisp sheet. 6. 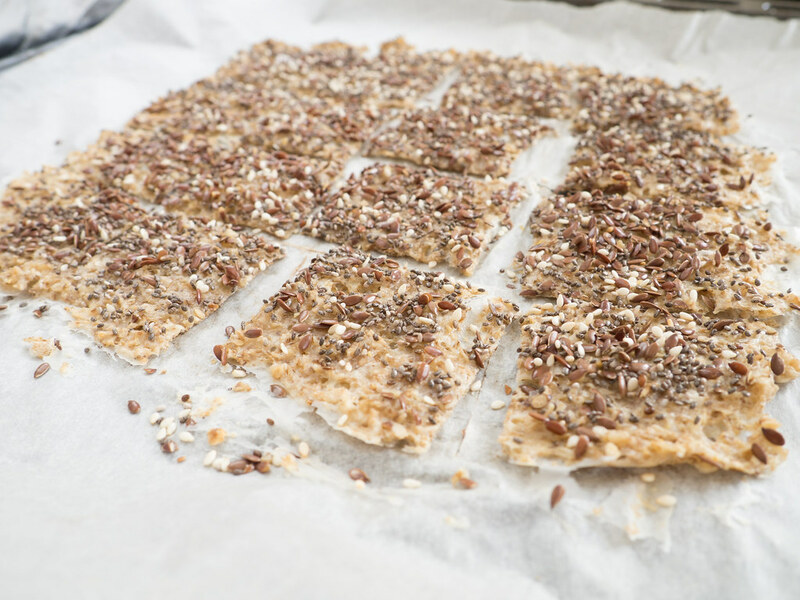 Use a knife to cut the baked sheet of oat meal into smaller crackers. Keep the crackers in an airtight container to keep them crisp. If you score them with a pizza cutter halfway through baking, then you can easily snap them when they are cool.